When I found my fifteen-month-old son on top of the (closed!) barbeque one day, without an obvious means of conquering this child-sized Everest, I immediately knew I had a climber on my hands. Since then he has climbed countless trees, rock walls, play equipment and more – if it can be climbed, he’ll attempt it. 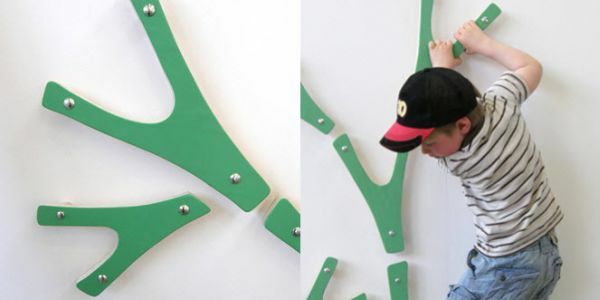 No surprise then that I like the look of the Shrubbery Climb Tree by Kaja Osholm Kjølås. Inspired by a Scandinavian forest, the branches can be combined and mounted on the wall in any configuration. It certainly gives new meaning to the phrase “the kids are climbing the walls”! When they are done climbing this stylish tree, the branches serve well as hooks for clothes and bags. 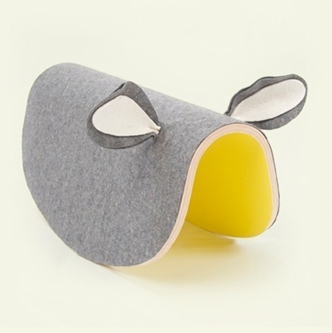 Contact the designer directly for more details and while you are there check out some of her other concept pieces – I particularly love the ‘rocking horse’ (below). Want more tree decor for your place? 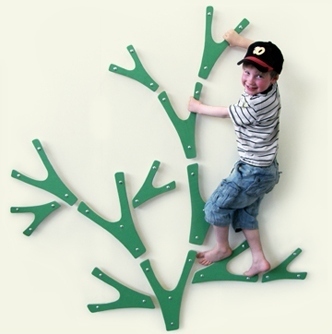 You’ll love our post on the Nurseryworks tree bookcase.